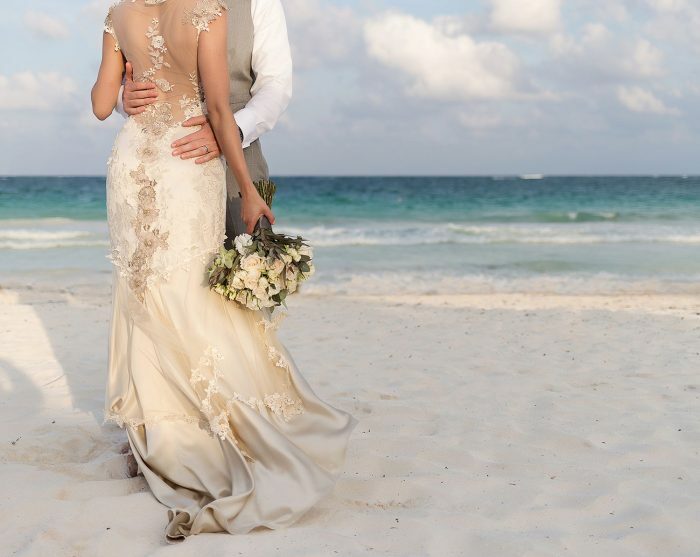 Tossing your bouquet in the Riviera Maya is more than more important than you think. At destination weddings, couples aren’t as strict when it comes to ticking off the traditions of wedding receptions. For example, it’s becoming more and more common for brides to skip the tradition of tossing their bouquet. Most opt-out because they don’t want to bring unwanted attention to sad singles or lonely ladies. However, there’s actually some pretty cool history behind the tradition and we think this is one slightly-cliché wedding moment you should embrace! The tossing of the bouquet stems (no pun intended!) from a tradition in England and France – at a time when women used to try and rip pieces of the bride’s dress and bits of her flowers in order to obtain some of her good luck. (This gives a whole new meaning to the phrase ‘trash the dress!’) In an effort to escape the desperate crowd, the bride would toss her bouquet and run away! In the Mayan tradition, it is believed that flowers absorb the energy and love that is created by the couple during their wedding ceremony. 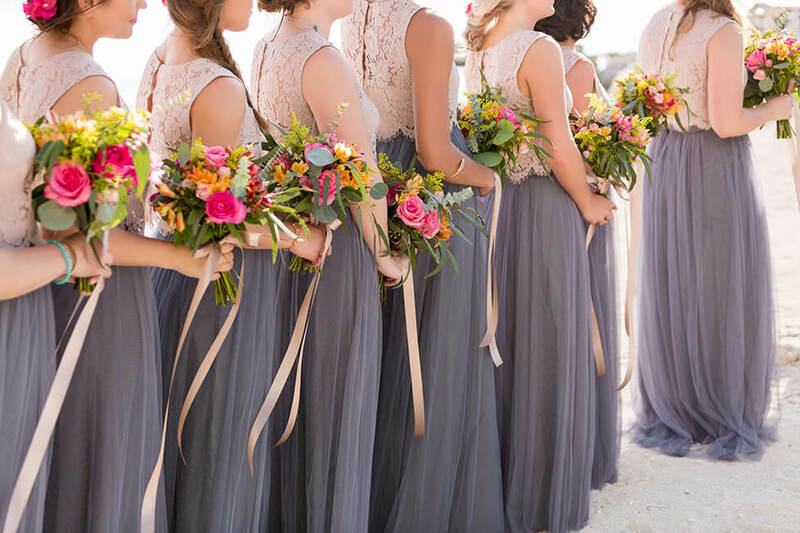 After the ceremony, the bride has two choices: she can keep the flowers or give them away. If a bride chooses to keep her flowers, it’s believed that she traps that positive energy in the flowers. However, if she opts to give them away, then it’s said that the positive energy is free to travel the world and come back to the couple for years to come. Not surprisingly, it’s encouraged in Mayan tradition to give away your wedding bouquet so that your love and positive energy can benefit the loved ones around you. Think of it as a way to have the positive vibes of your wedding day transformed into a lifetime of love. Fast-forward 2,000 years and I don’t think the ancient Mayans meant this to mean throwing your bouquet at a mob of single ladies bobbing along to Beyoncé. However, if you’re going to choose to say “I do” in the Riviera Maya, why not embrace local traditions and keep love flowing throughout your life as an added bonus? If you’re considering not throwing your bouquet at your reception for fear of singling out the single ladies, consider tossing your bouquet for all the women – married and single. It could be fun and inspiring to tell your guests about the Mayan symbolism of sharing the love and positive energy of the day with one lucky lady. This will give all the ladies in attendance reason to leap with all their might! Plus, from a photographer’s perspective, the tossing of the bouquet photos can be some of the most fun and hilarious of the night – why not embrace the whole tradition?